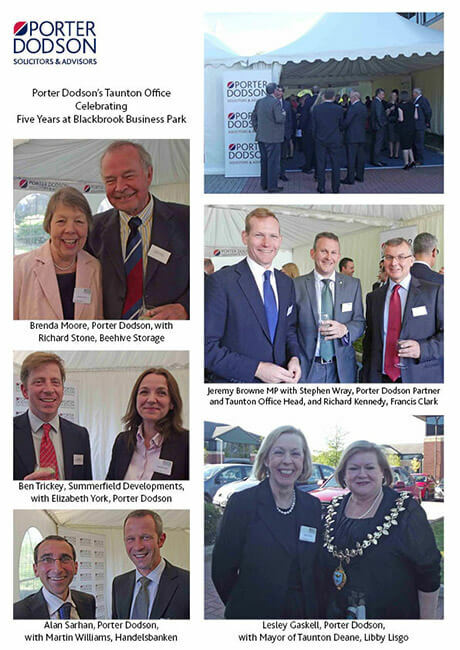 Porter Dodson Solicitors & Advisors’ Taunton team recently welcomed more than a hundred guests to its offices at Blackbrook Business Park. 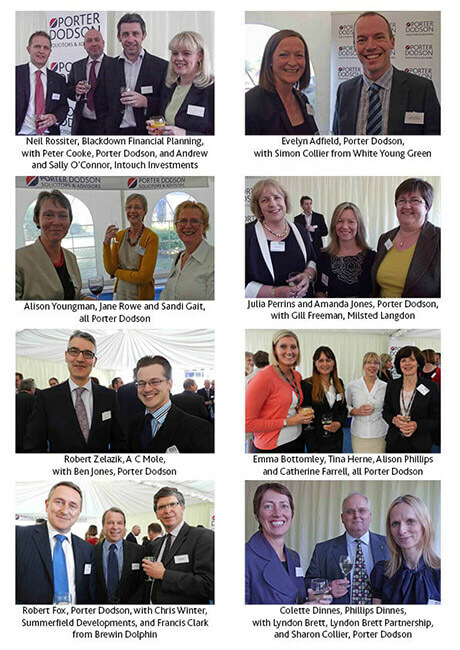 The early evening event was to mark five years since the UK Top 200 Law Firm relocated from Taunton town centre. Guests included representatives of the Board of Summerfield Developments Ltd; clients of Porter Dodson and developers of the Blackbrook Business Park site. Richard Lloyd, Chief Executive and Chairman, officially opened Porter Dodson’s offices in 2008 and was present at the five-year celebrations. 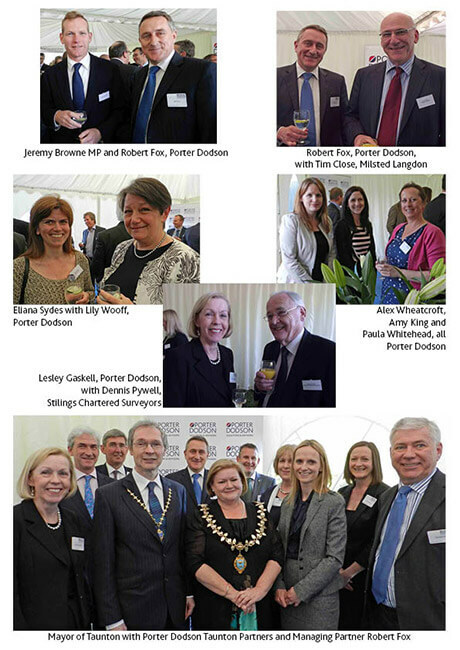 Other attendees of note at the event, which was held in a marquee in the grounds of the premises, included Jeremy Browne MP and Mayor of Taunton Deane, Libby Lisgo. In addition to its Blackbrook premises, Porter Dodson has offices in Wellington, Yeovil, Sherborne and Dorchester.